The entire game is divided into grids like the Excel format. 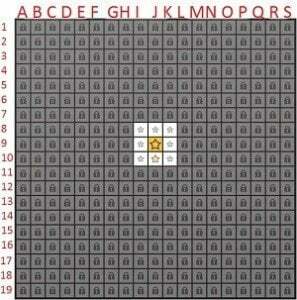 The beginning of the game is the center of the puzzle grid located at J-9. Enjoy and hope our complete puzzle solutions can help you beat the game! ALL the World’s Biggest Crossword puzzles are completed with all the clues and screenshots. Welcome to the best cheats. Will you there be more content at some point? I’ve finished the biggest and tallest puzzles and am eager for more. There seems to 100 more puzzles, but I have completed the main puzzles. Where would I find these extra puzzles. Crossword ( downloaded from Google Play) has just been flagged for malware with AVG. Privacy | Disclaimer: WorldCrossword.com is a fan based site created solely to help others to complete their Crossword: World's Biggest Crossword puzzle game. All in game assets and image belong to AppyNation.